Size of this preview: 754 × 599 pixels. Other resolutions: 302 × 240 pixels | 800 × 636 pixels. Catcraig Limekiln, Dunbar, East Lothian. 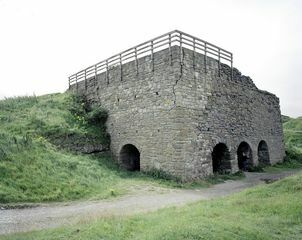 The kiln is used for the production of lime by mixing limestone and coal, firing it, and drawing of the lime at the base. It was used for centuries by medieval builders for binding masonry and lightening interiors. Other uses include liming agricultural land, and latterly for a range of industrial purposes e.g. as a purifying agent in gasworks or as a flux in steelmaking. The kilns were restored in 1966 by the Associated Portland Cement Manufacturers Ltd. and East Lothian County Council. They are associated with local quarries, a powder house and a roadway that leads to a landing place on the foreshore. 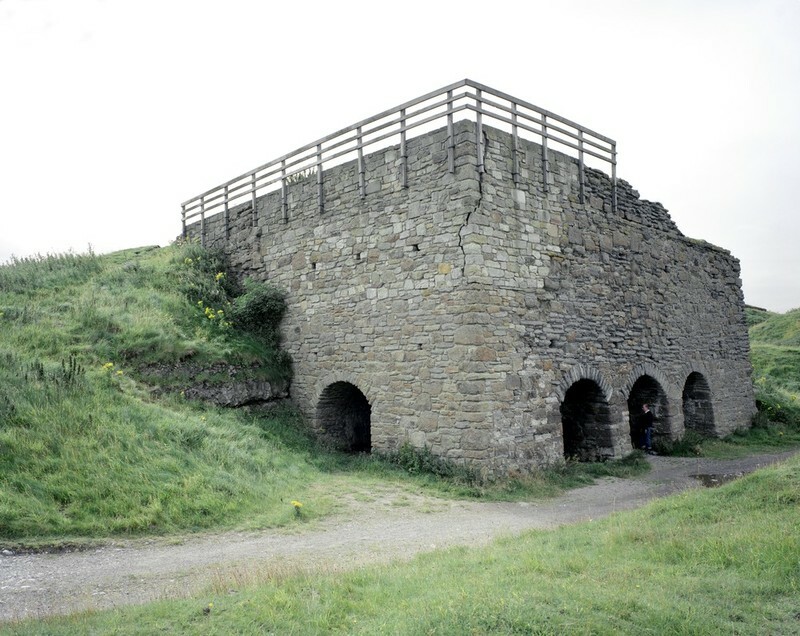 Limestone kilns, restored as part of a nature trail. This is a vertical double kiln 54 feet by 33 feet and built of large coursed rubble. The vents are both c. 8 feet 4 inches wide and the a central tunnel is 9 feet 2 inches wide. One kiln has a diameter of 15 feet at the top. This page was last modified on 21 February 2015, at 18:33.